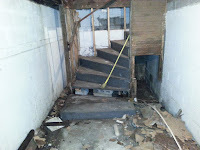 Well I tore down the pony wall that divided the unknown corner of the basement, I was hoping or a secret room or a safe and that would have been sweet! 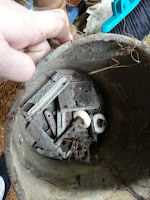 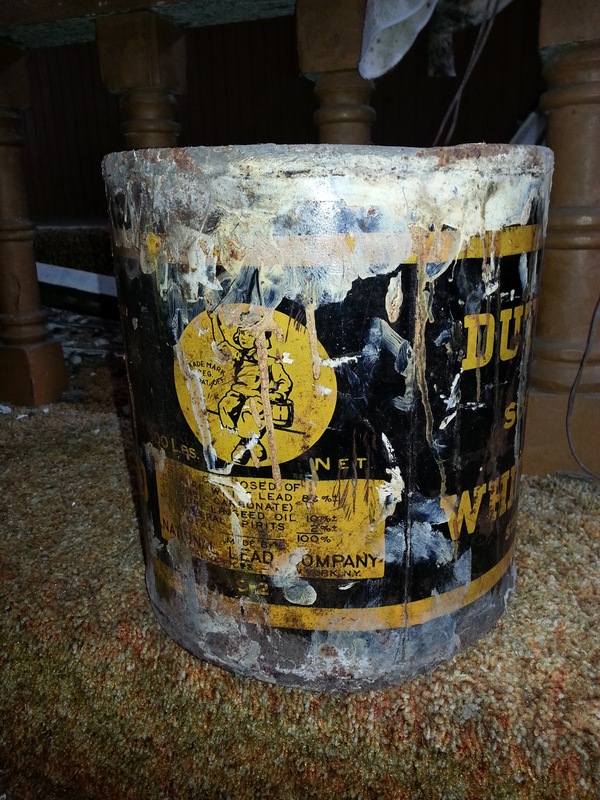 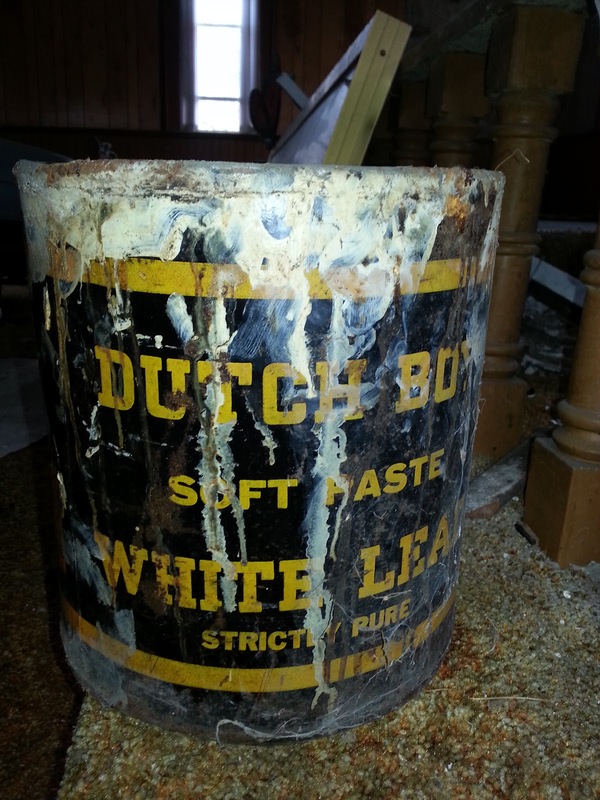 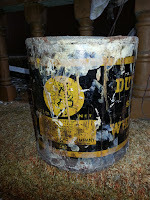 But instead I just uncovered an undug out part of the basement...with more trash that needs hauling out...whoo!...but I did discover a Dutch Boy White Lead 100lb keg paint can with misc hardware that seemed to have broken very early on. 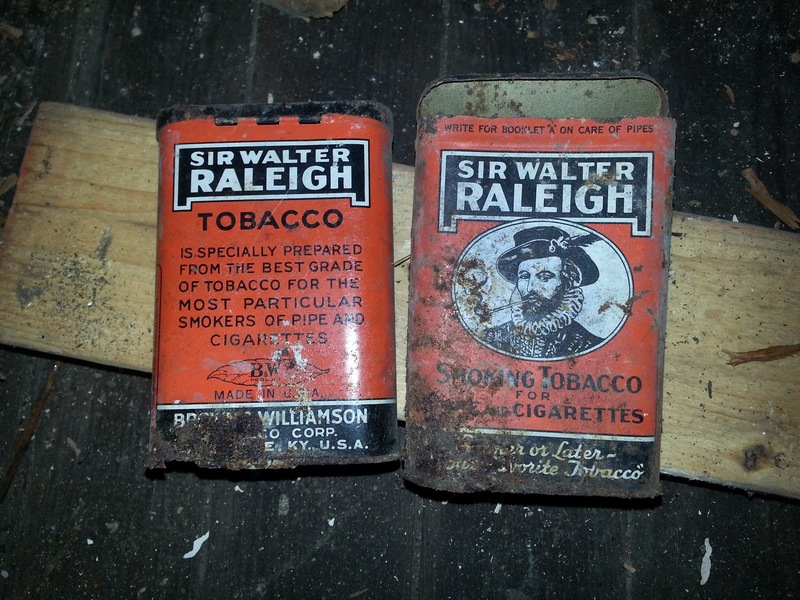 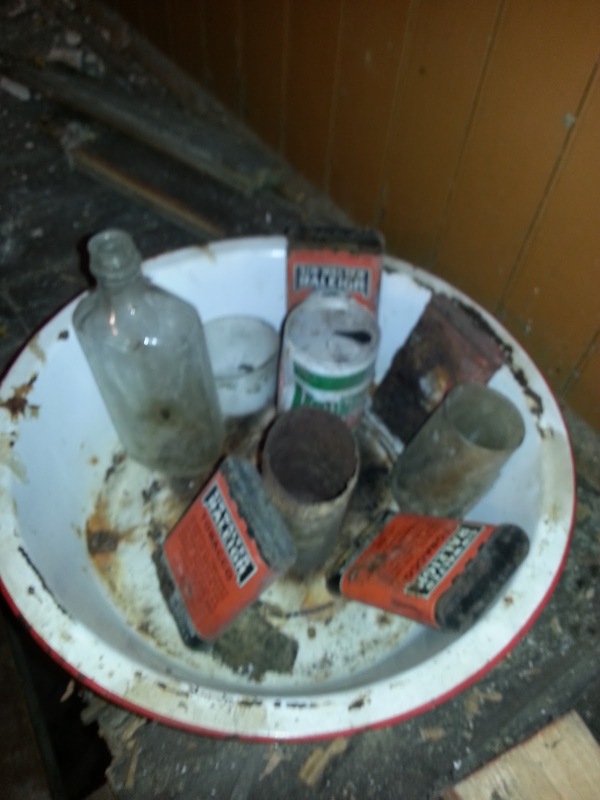 A little more surface digging lead to misc fines and a lot of Sir Walter Raleigh Tobacco pocket tins. 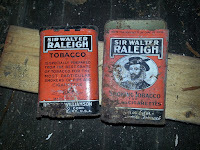 Pretty neat finds! 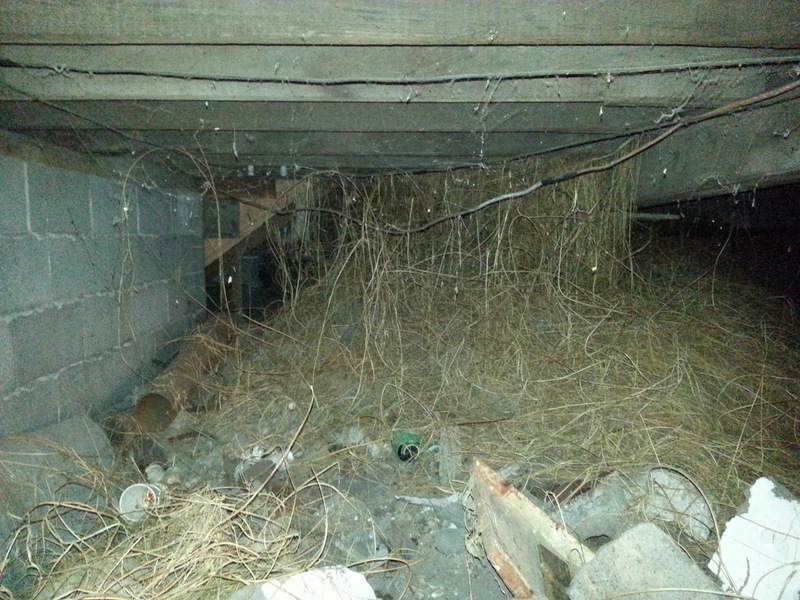 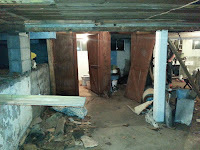 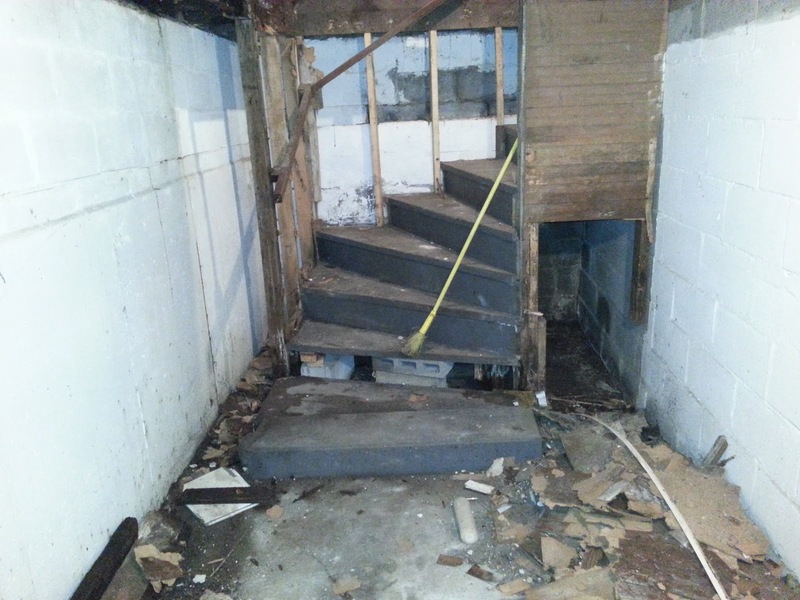 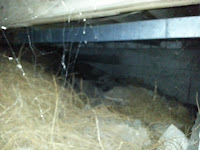 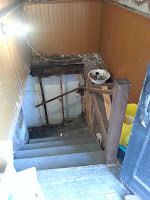 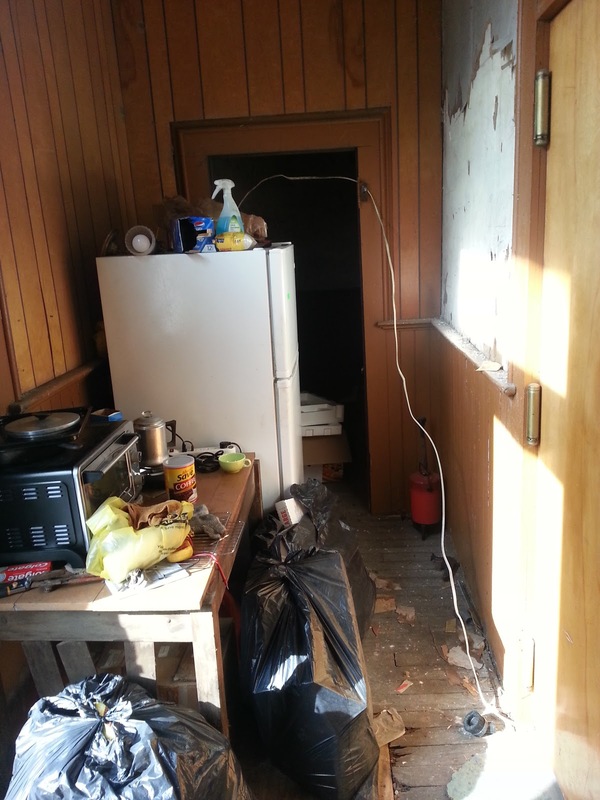 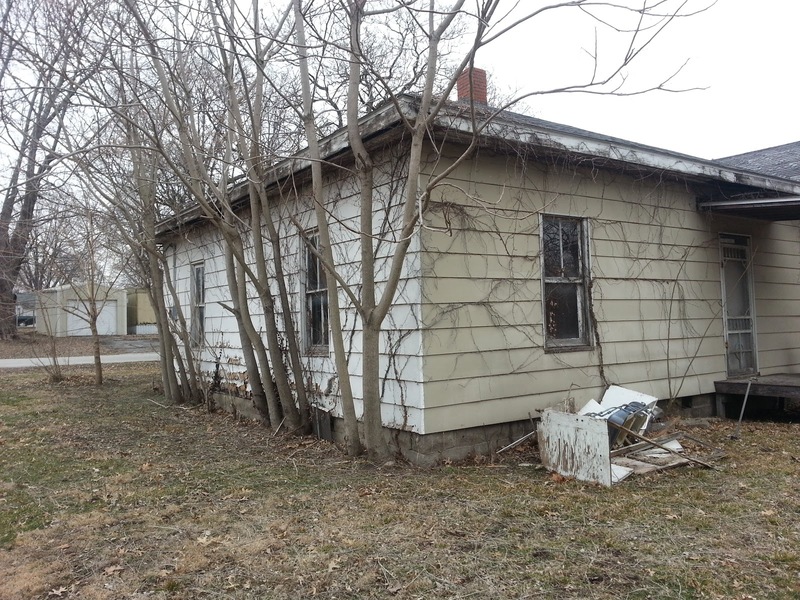 I want to dig out the basement space, and see what else that is hidden deeper in the dirt.. 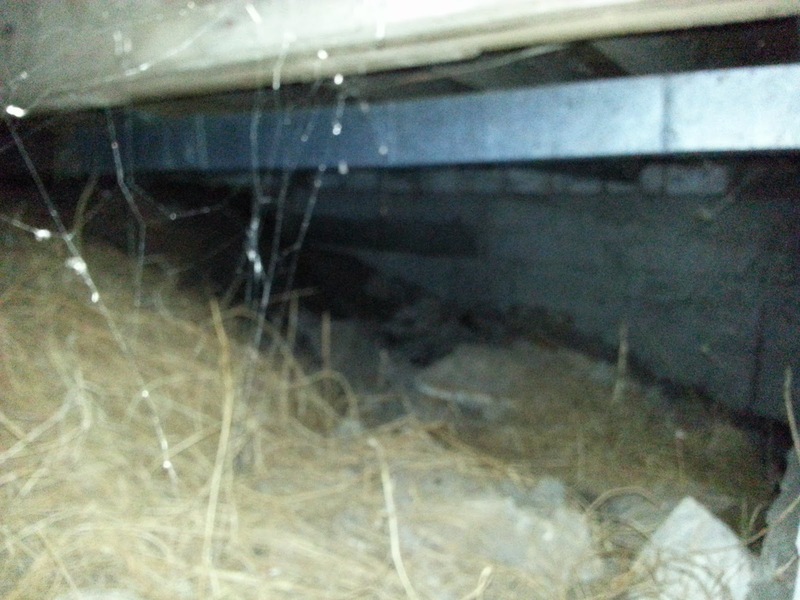 This is the secret crawl space of the church basement. Don't ask me how, this stuff managed to grow under there with no light. 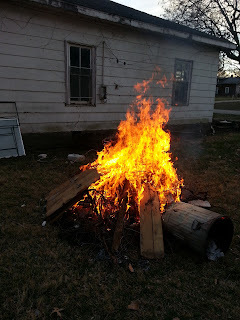 We finally got all these trees cut down! This was some of the hardest wood I have ever cut threw! Granted we did do it all by hand, but it was like sawing threw glue...Now the stumps are at a manageable height, were I can just cut off the suckers until I get a gas powered chain saw. 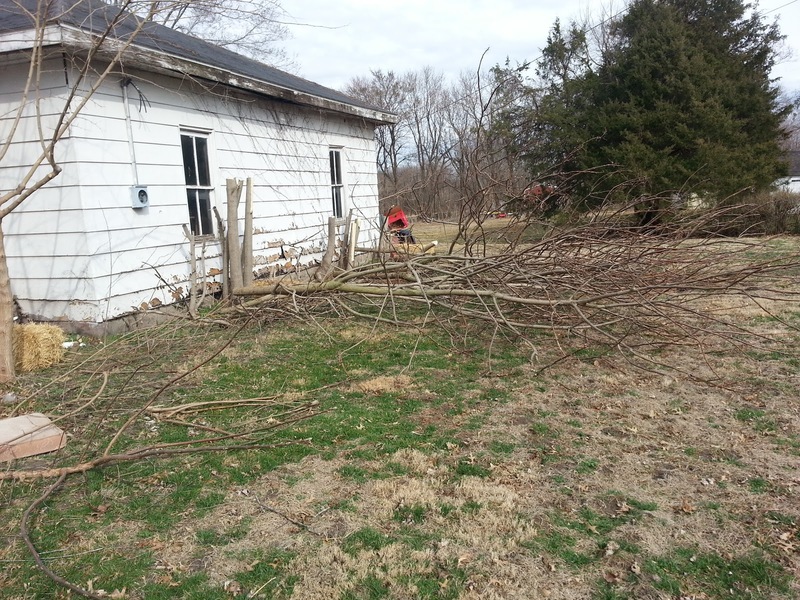 These are clones of the "tree of hell" aka tree of heaven Ailanthus altissima. 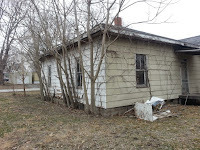 I almost got them all cut down on the property except the mother and one more hidden in a group of trees. 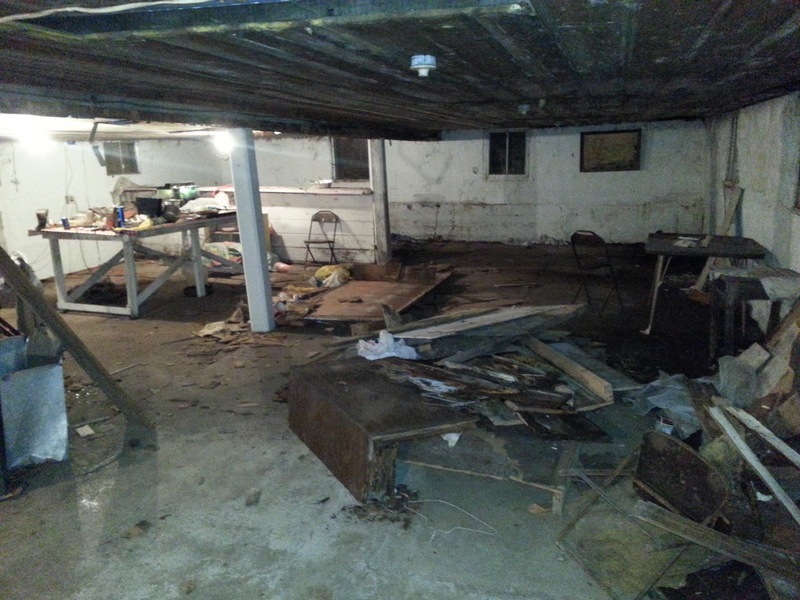 Speaking of the basement, here it is! 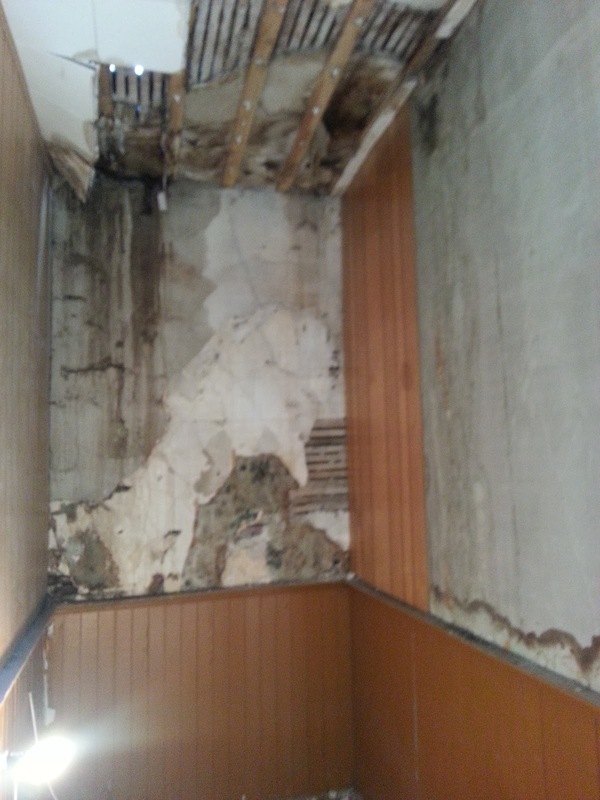 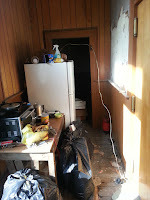 We are currently try to de 70's it, because of the leaking roof, everything down here is moldy, soaking wet and just bad! 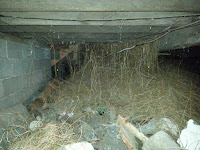 That and all the wrong materials were used down here. The only things salvageable will be the toilets and bathroom sinks.